It is a fact that property values tend to increase with the installation of landscaping. We’ve shared details regarding this fact before, but the United States Department of Agriculture (USDA) includes this same detail along with additional reasons to support the installation of trees. This list describes energy savings associated with trees. Energy savings comes from the shade provided by trees. An average household can save up to $250 a year from properly placed shade trees. The location in which trees are planted is incredibly important when considering the placement. Keep in mind that shade trees should not be planted directly next to or underneath windows. 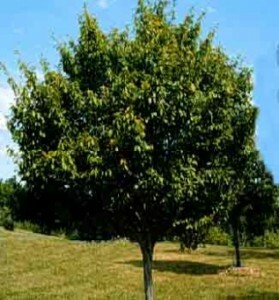 Tree height, building location, and existing trees need to be considered when determining where to plant shade trees. It is a fact that when properly cared for a newly planted tree will grow. When planting a tree remember that the small seedling has a projected height and consider whether or not you want a tree towering over your home. The shade may be nice, but think about the consequences when a bad storm comes through. What we see above the ground does not provide a full picture when it comes to trees. Root systems are not always predictable as they spread out in search of water and nutrients. Trees, shrubs, and plants experiencing overcrowding will compete for nutrients and experience less root hold. As a result the tree is weakened and may not be able to face the test of time. Garages, homes, porches, and decks have all fallen victims to damaging blows from falling trees and limbs. While potential hazards are usually easy to spot above ground, it is important to remember that as trees grow above ground their root systems are growing underground. These roots can cause unseen damage with sidewalks, foundations, pipes, and driveways. Deciduous trees should be planted on the east and west sides of a home for energy savings. While there are general guidelines as to planting distances, a certified arborist provides knowledge and experience in determining just how close a tree should be planted in proximity to buildings, other trees, and as a result of their projected height. Contact our certified arborist at Hutcheson Horticultural today for a landscaping consultation to help you increase your energy savings with shade trees.